Wonder Woman was released on March 3rd, and is available to own on either DVD or Blu-ray Hi-Def. You can check out my review of the two-disc DVD at this link. 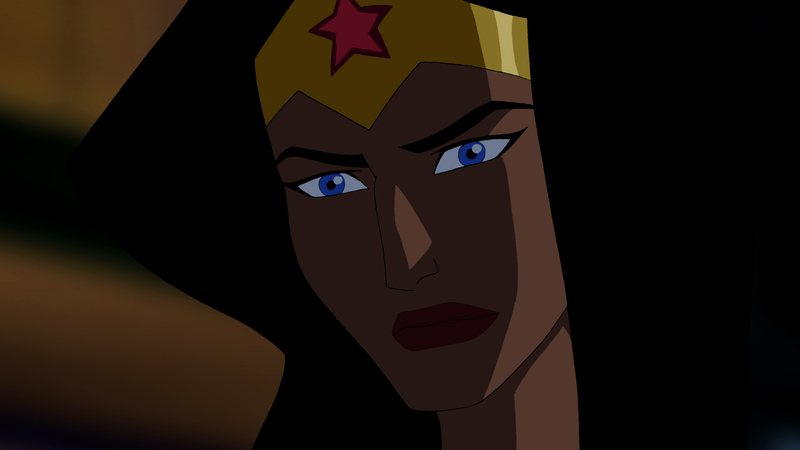 Actress Keri Russell makes her animation debut as the voice of the title character in Wonder Woman, the next entry in the popular series of DC Universe animated original PG-13 movies arriving today (March 3) from Warner Premiere, DC Comics and Warner Bros. Animation. Warner Home Video is distributing the all-new film, which will also be available OnDemand and Pay-Per-View as well as available for download today. Russell is best known for her Golden Globe-winning lead role in the popular television series Felicity. One of the Mouseketeers on the 1990s incarnation of The Mickey Mouse Club, Russell has appeared or starred in numerous films and TV series, including Mission Impossible III, The Upside of Anger, We Were Soldiers, and the recent Bedtime Stories. The New York-based actress drew widespread acclaim for her performance opposite Wonder Woman co-star Nathan Fillion in last year’s Waitress. 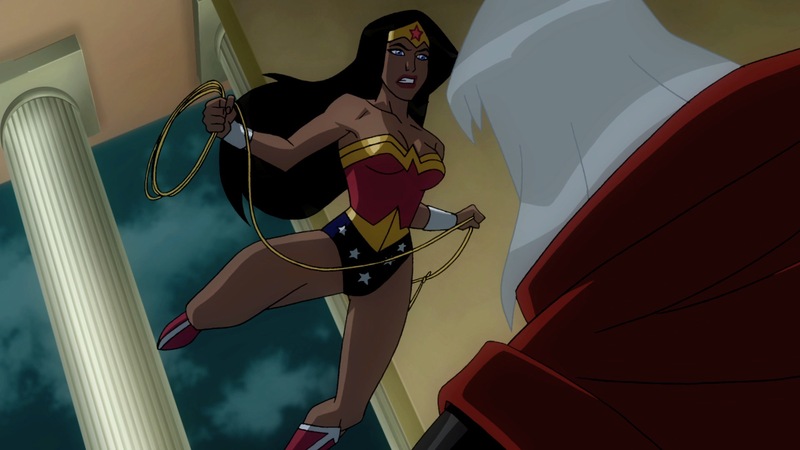 Following her first-ever voiceover recording for an animated film – that would be Wonder Woman, coming out on Tuesday, March 3 – Russell chatted about the cool factor of owning an invisible jet, Halloween costumes of her youth, potential future Russell-Fillion co-starring roles, and a super hero supplies store. True story. KERI RUSSELL: I love watching animated films, so it sounded exciting and fun because I had never had the opportunity to do voiceovers before – and ultimately, recording this film was a blast. There were some challenges – I haven’t been impaled too many times in my life with swords and spears and things like that – so I didn’t have a lot of experience making those sounds. Voiceover work definitely requires it’s own specific muscle. And because you’re not seeing what you’re recording, and all these things are going on, you really have to use your imagination and stay focused and kind of be able to tap your head and rub your belly at the same time. Luckily they surrounded me with people who really know what they’re doing – to guide me through the technicalities that I had never done or used before. I loved being in this little dark room and not having to worry about the way I looked or anything other than just really concentrating on the intention of the words on the script. KERI RUSSELL: Um … yes. I think it’s because all those things describe me perfectly (she laughs). I’m smart, beautiful, strong (she laughs harder). I don’t really feel I am any of those things right now – but I think it’s really cool they asked me to do it. She’s the epitome of amazing. I mean, she’s WONDER Woman! My husband is having a good time with that. As I was leaving the house, my husband was already making jokes about me being Wonder Woman. But I do take some pleasure – and pride – in being chosen to play this role. KERI RUSSELL: Who doesn’t want an invisible plane – that would be so cool (she laughs). I wish I had an invisible plane to take me home to Brooklyn, and I wouldn’t have to ride the subway. But a lasso of truth might be a little too much at times. Sometimes you don’t want the truth. Sometimes you’re like, “Oh just tell me the good answer. 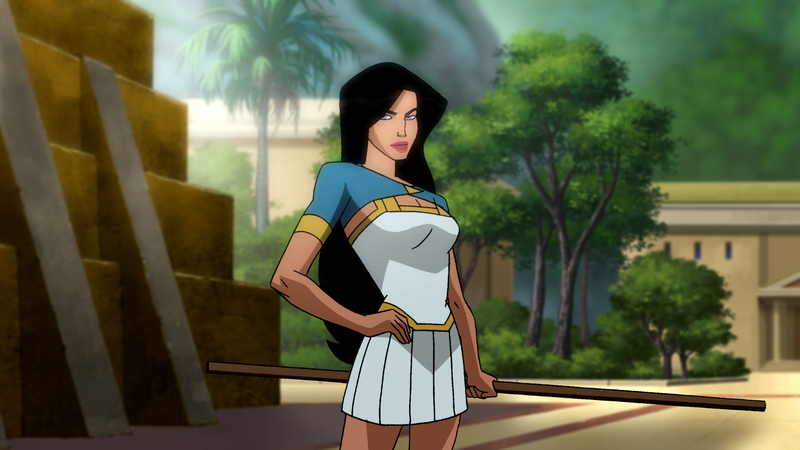 I don’t want the truth.” On the other hand, a lasso of truth could be interesting on the streets of New York. And the tiara I can do without. But the invisible jet is definitely the way to go.